Hey there! With Labor Day in the rearview mirror and autumn on the way, we thought it would be a good time to give you a little update. 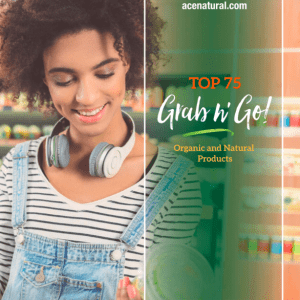 Read on to learn about Ace’s new grab n’ go catalogue, as well as new offerings from our customers and vendors! We’re excited to announce that we now have a grab n’ go catalogue, packed with lots of healthy, easy-to-eat treats. The catalogue is broken down into sections for easy perusing: beverages, bars and treats, and chips and snacks. From Sipp’s organic sparkling soda to organic komboucha by Aqua ViTea, 88 Acres’ granola bars, Popcorners, and more, you’ll find all foods snacky at your fingertips. Magic Mix Juicery has been coming out with some super innovative products lately. 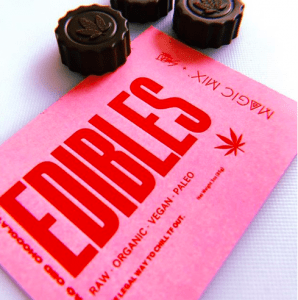 Take, for instance, their *100% legal* cacao CBD chocolates. These babies are raw, vegan, and nearly sugar-free! Each one contains 5 mg of CBD and is made delicious with date paste, raw cacao, cacao butter, sea salt, and nothing more. 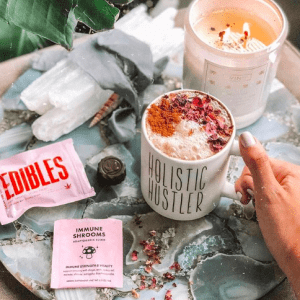 As Magic Mix explains to all who doubt the magic of CBD: “It’s a NON-psychoactive cannabinoid known for helping reduce anxiety, pain relief and inflammation. Meaning you get all the medical benefits of cannabis without that high or ‘stoned’ feeling.” What could be better? We’re also excited about Magic Mix’s Vegan Cookie Dough Protein Balls, which launched in July. Made with organic cacao nibs, coconut oil, cashews, almonds, pea protein, applesauce, vanilla, monk fruit, and lucuma, these little balls are bursting with protein plus all the good fats to keep you content between meals. 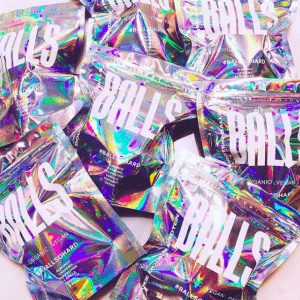 Each protein ball has a mere 2g of natural sugar but packs a whopping 7g of protein! Friends, the rumors are true: after years of dreaming and scheming, Ample Hills has built a 15,000 sq. ft. ice cream production facility in Red Hook. 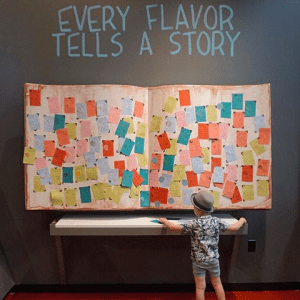 The spot is home to an interactive ice cream museum as well as a scoop shop, because what would an Ample Hills location be without one? In their words: “The centerpiece of our Red Hook Factory is a colorful map of Brooklyn, a tribute to the poem that inspired our name — Walt Whitman’s ‘Crossing the Brooklyn Ferry.’ With a meticulous attention to detail, we created this gigantic 22’ by 15’ hand-painted map of Brooklyn.” Learn more about it here. 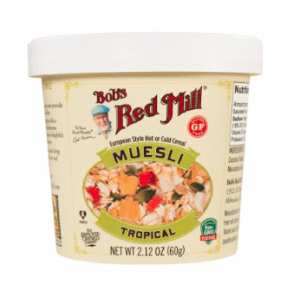 Bob’s Red Mill has also been working hard: in April, they launched a line of “modern takes on muesli” AKA organic, single-serving muesli breakfast cups. These cute cups are made with whole grains, nuts, dried fruit, and seeds, and packed with vitamins and minerals. Choose between the Gluten-Free Tropical Muesli Cup, the Paleo Muesli Cup, and the plain Gluten-Free Muesli Cup. If you prefer to buy in bulk, Bob’s also offers large bags of muesli in similarly scrumptious flavors. Learn more here.